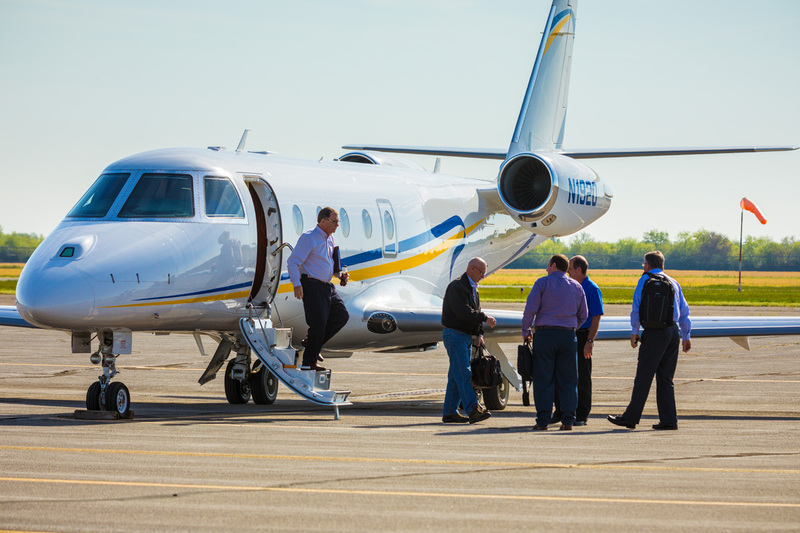 Perdue Farms, a leading poultry producer, uses business aircraft to enhance profitability and productivity. How can you run a $6 billion business if none of your nearly two-dozen facilities are near a major commercial airport? That’s a common challenge in the agriculture industry – one that could stifle growth without access to business aviation. Perdue’s headquarters are across the highway from the Salisbury, MD farm-house where Arthur and Pearl Perdue started out almost 100 years ago. From that small flock of chickens in 1920, Perdue has grown to be a top poultry producer, expanded into turkey and pork, and become a global supplier of grain. Today, Arthur and Pearl’s grandson, Jim Perdue, serves as chairman. The company is still family owned – and still very cost-conscious. Perdue operates a King Air B200 and a Gulfstream G150 out of Salisbury Regional Airport (SBY), which is surrounded by Chesapeake Bay farmland. Airline service is limited to a handful of daily flights to Philadelphia, PA and Charlotte, NC. Still, when Perdue associates are traveling solo to the Midwest or the West Coast, they will make the hub-and-spoke airline connections necessary to get to their destinations. For almost all other missions, the business aircraft are valuable time-savers. Usually, more than half the seats in both aircraft are filled, often by personnel from several different departments. An accountant may schedule a plant review, and a team from production will hop on. From 1998 to 2005, Perdue only operated one aircraft, a Beechjet 400A. By 2005, the company was flying the Beechjet more than 450 hours a year and needed to expand the flight department by adding another pilot. The King Air mostly flies up and down the Eastern Seaboard, flying north to Boston for customer visits and south to Perdue’s largest facility in Perry, GA. The jet travels to farms and plants in Indiana, Iowa, Kentucky and Tennessee. To be able to conduct flights on both aircraft simultaneously, Perdue hired a fourth pilot. Bradham’s goal is to cover all flight needs with internal resources, but Perdue uses charter for supplemental lift about 20 hours per year. In 2011, Perdue acquired CA-based Coleman Natural Foods, making Perdue the world’s largest producer of organic chicken. Other acquisitions added more facilities on the West Coast. That year, Perdue sold the Beechjet, replacing it with a Gulfstream G150. Even as it expanded and became a global exporter of meat and grain, Perdue stayed rooted in the values of quality and integrity, shunning ostentation. Nearly every associate in the company’s headquarters works out of a cubicle, including Chairman Jim Perdue. That sense of economy is reflected in the flight department, a comparatively small operation with only five staff members (four pilots and a scheduler). Perdue does not have an in-house maintenance team, and the pilots perform many duties that would normally be done by technicians. The King Air is covered by Textron’s maintenance program, and the pilots take it to service centers in Greensboro, NC or Newburgh, NY for scheduled inspections. They take the Gulfstream to the OEM’s facility in Savannah, GA and Duncan Aviation in Battle Creek, MI. Perdue also has a contract with Air Repair in Easton, MD. A technician from that company drives to Salisbury each week, primarily to check the jet. These service arrangements enable the flight department to be as flexible as it can without a maintenance department. Operating so economically makes the flight department valuable to Perdue, but it’s not always easy, especially in the midst of a national pilot shortage. After experiencing some turnover during the years when the flight department was expanding, Bradham made the case to Perdue’s leadership to offer regionally competitive compensation. 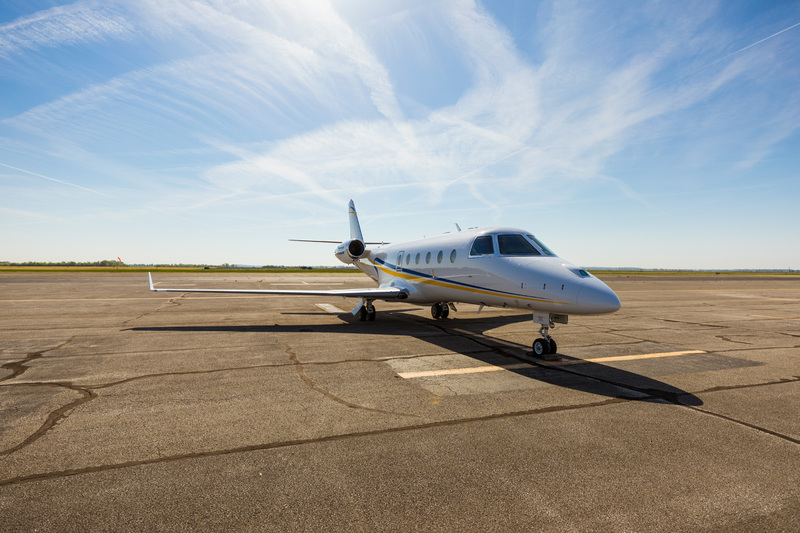 With the data in hand, and a competitive pay scale, Bradham recognizes that business aviation needs to compete in ways other than salary. He emphasizes professional development for his pilots. In the near future, he will send the newest hire, Jeff James, to get his type rating on the Gulfstream. Every year, Perdue’s senior leadership team visits all of the company’s 22 major facilities for a state-of-the-business tour. When traveling by car and airline, the tour has taken a month and a half. With both aircraft flying, the trip is finished in less than two weeks. However, it’s the trips that are not planned months in advance where the aircraft really save the day. Perdue has also used the aircraft to move critical personnel to facilities affected by natural disasters, such as hurricanes in the Carolinas or California wildfires. This article originally appeared in the July/August 2018 issue of Business Aviation Insider. Download the magazine app for iOS and Android tablets and smartphones.